UVA Rays are prevelant all year long, and the same intensity all day long. They are the longest wavelength and penetrate the deepest into the skin going to the dermis layer. Clouds and glass does not stop UVA rays, and many people may not understand that not all sunscreens stop UVA rays. Tanning Booths are mostly UVA rays. And unfortunately, UVA is the major component in aging skin. UVB Rays are shorter in wave length and follow the rotation of the sun. UVB is most prevalent in the summer, and at peak daylight hours. 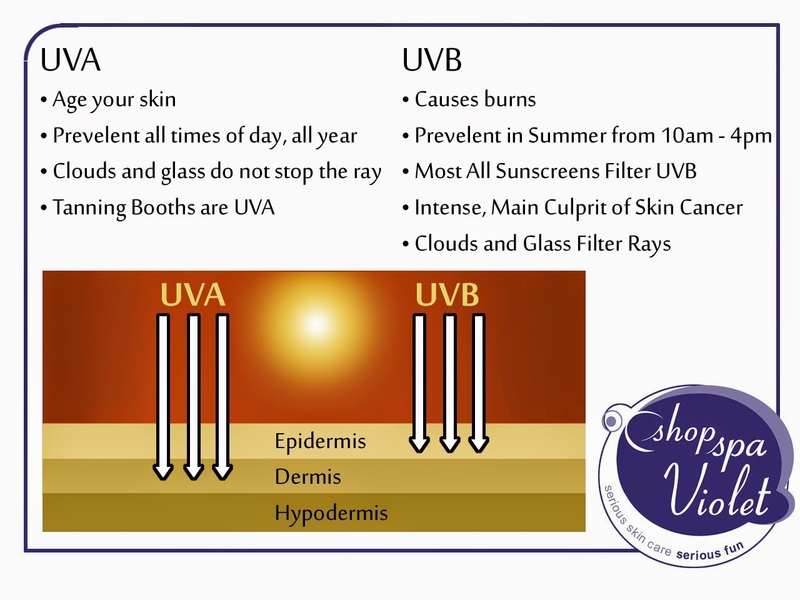 UVB affects the top layer of skin called the epidermis. 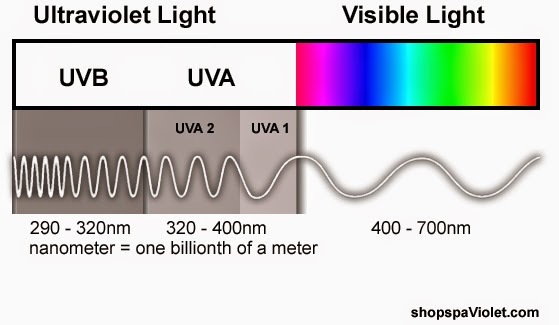 UVB is the culprit of sunburns, redness and skin cancer. Clouds and glass as well as all sunscreens protect against UVB rays. 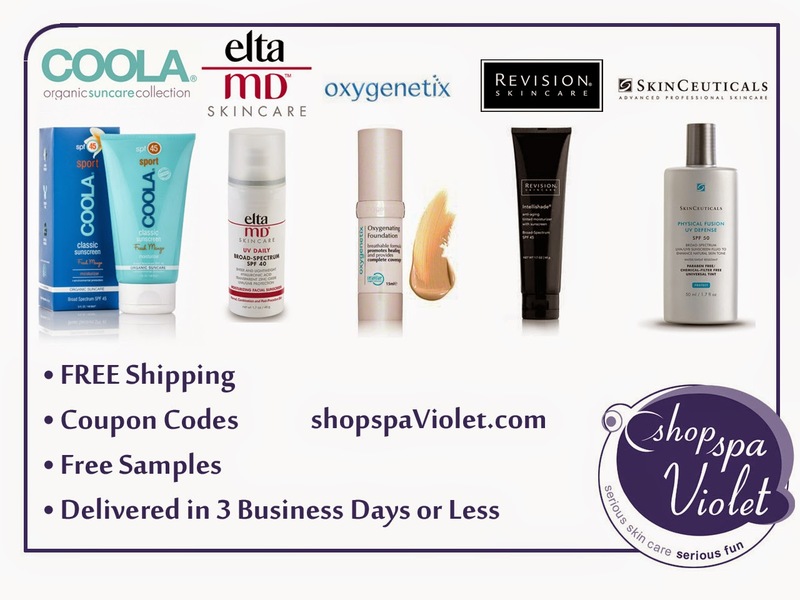 To protect against both UVA\UVB rays, choose a Broad Spectrum Sunscreen. Apply Liberally and don't forget the earlobes, chest and back of arms, many unforgotten spots. COOLA Suncare offers organic sunscreen rich in antioxidants and with broad spectrum protection. EltaMD Sunscreen offers a great doctor's choice for being fragrance free and great ingredients to hydrate, exfoliate and restore your skin. Oxygenetix Foundation is breathable and a lightweight shear tint to keep up with the hot temperatures and conceal blemishes. Revision Skincare offers our best selling Intellishade which is a tinted moisturizing sunscreen and also a Multi Broad Spectrum Sunscreen. SkinCeuticals has Physical Fusion SPF 50 with a tint that matches all skin tones.